TNG has secured almost US$60 million in its Series A round from a Beijing-based private equity fund. The startup expects to be profitable this year and aims to be listed in either New York or Hong Kong by 2019. TNG expects to close its latest fundraising this week and the funding will be used to acquire companies with remittance licenses in Singapore, Japan, the Philippines, Indonesia and the U.K. TNG, a Hong Kong-based e-Wallet launched in November 2015, has more than 600,000 users in Hong Kong with 190,000 cash pick-up points in 13 countries. 300cubits, a Hong Kong-based startup, has launched a blockchain initiative to transform container shipping. The startup wants to help enhance container shipping industry through a crypto currency named TEU and a blockchain that features smart contracts and carries $23 billion growth worth of currencies/tokens on August 16, 2017. GoBee.bike, a Hong Kong-based bike sharing service has raised US$9 million in a Series A round led by venture capital firm Grishin Robotics, with participation by the Alibaba Hong Kong Entrepreneurs Fund (AEF). The funding will be used to enhance the startup's technology, research, and development as well as global expansion. Launched in April 2017, GoBee.Bike offers bike sharing service in multiple locations in Hong Kong, including Sha Tin, Tai Po, Ma On Shan, as well as Tuen Mun, Fanling, Tseung Kwan O and Tung Chung. Retired Not Out, a Hong Kong-based online job market for senior is launching a crowdfunding campaign on Hong Kong-based crowdfunding platform Next Chapter to raise funds and build evangelism for senior hiring and talent recognition. Retired Not Out aims to raise US$8,000 for building and expanding its services in Hong Kong. Founded in March 2017, Retired Not Out is an online job market that connects retirees with flexible and relevant work opportunities. 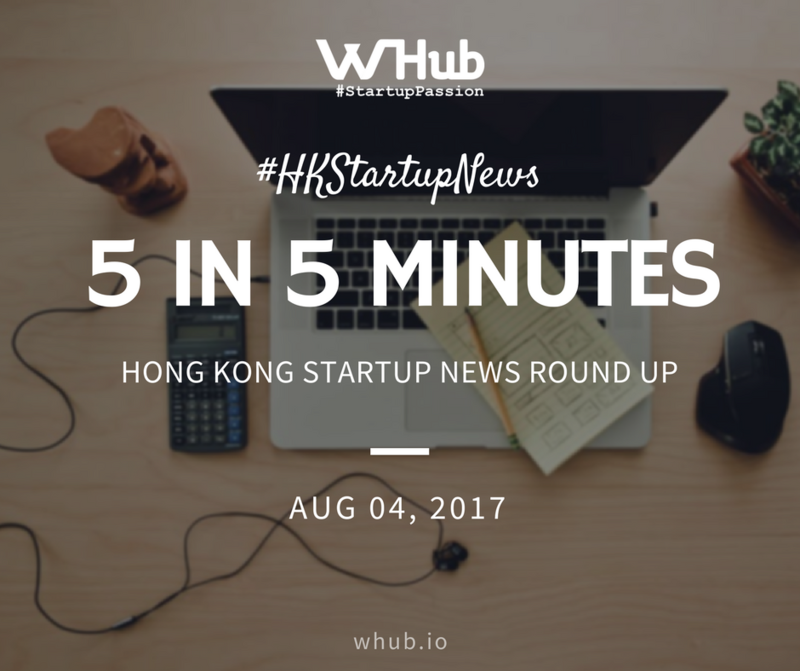 The third edition of iCup (Internet Innovation Entrepreneurship Competition) -Hong Kong Station, the only station outside of mainland China, was successfully held at TGN Kwun Tong on July 20, 2017. After four hours of intensive competition, Viscovery who develops smart analysis of video context, crawl and automated filtration of the tag in the film, got the PASS card and will compete with other teams at the iCup final. The other 3 teams, Heycoins, Datasets and Webot.ai, will enter the semi final, with the hope of getting priorities to financial support considerations and professional guidance. The iCup contest boasts a collection of 20 business projects in the areas of intelligent manufacturing, Internet +, cloud computing, education and design. The online streaming video of the 4-hour competition attracted over 100,000 views.